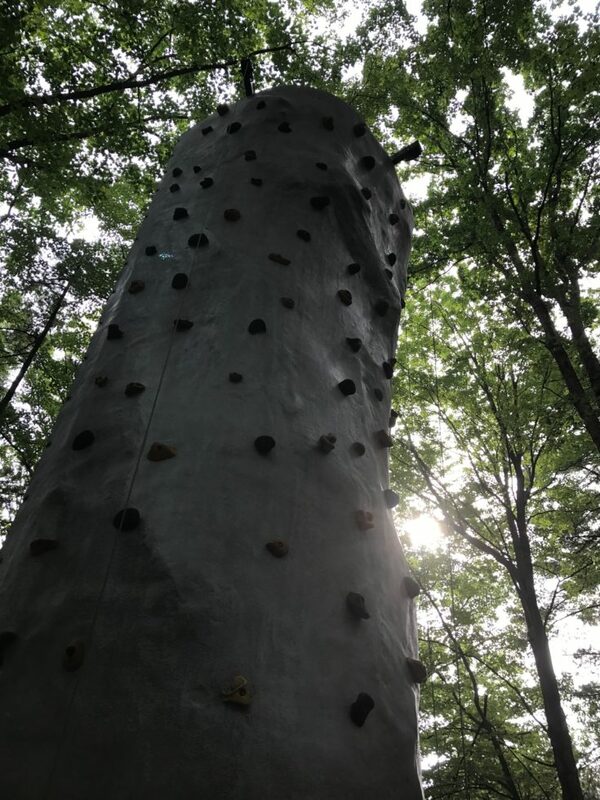 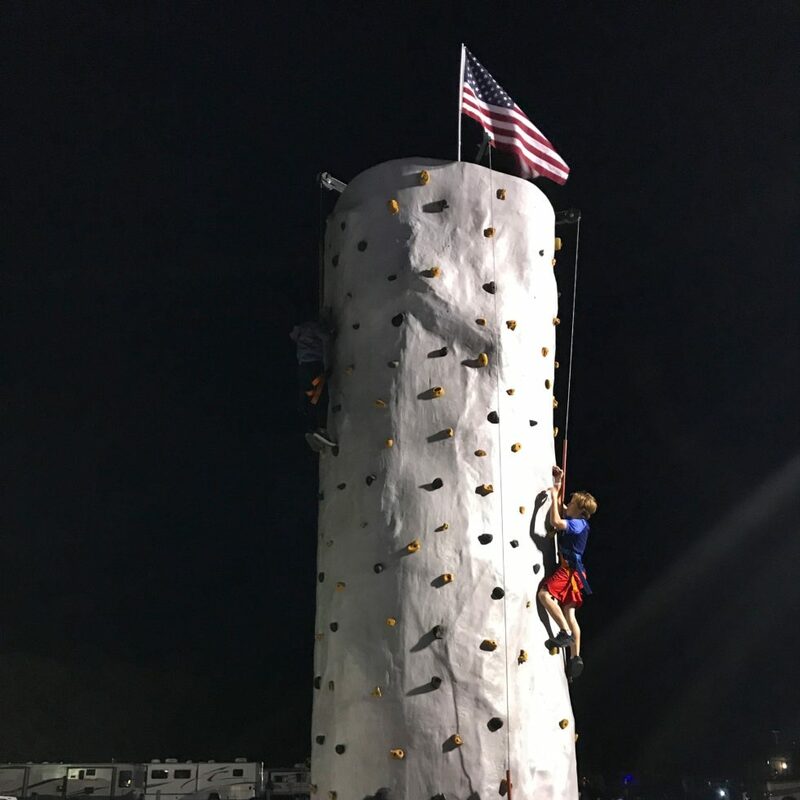 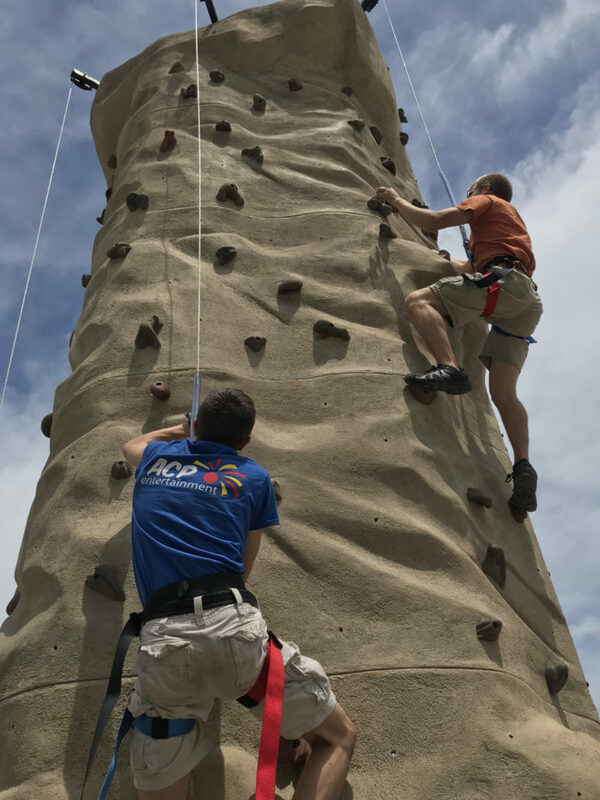 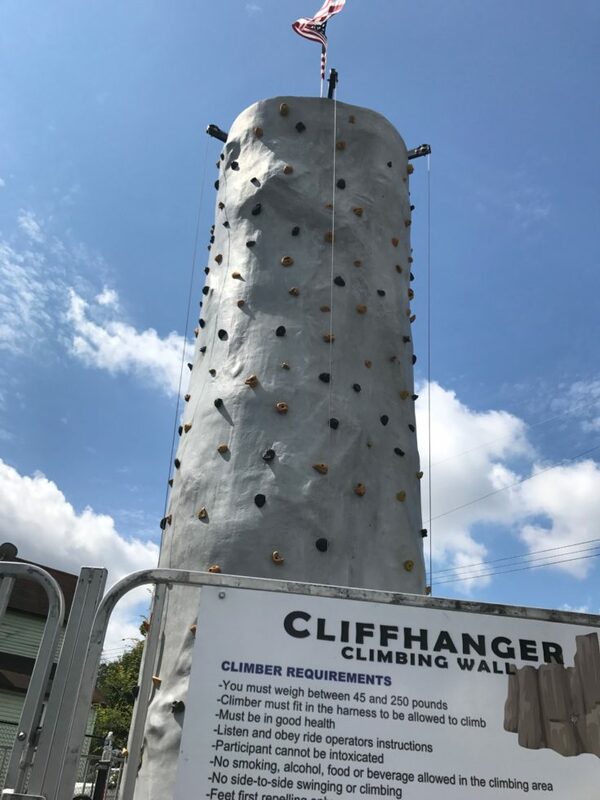 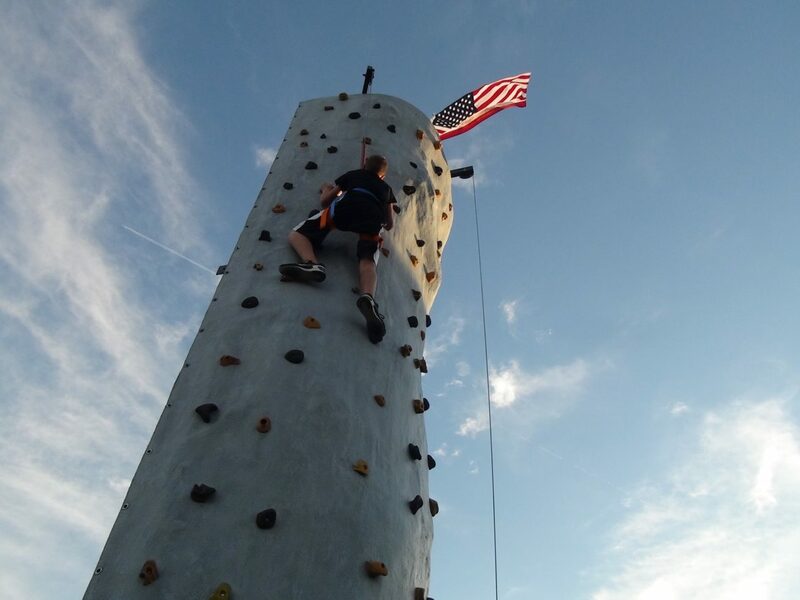 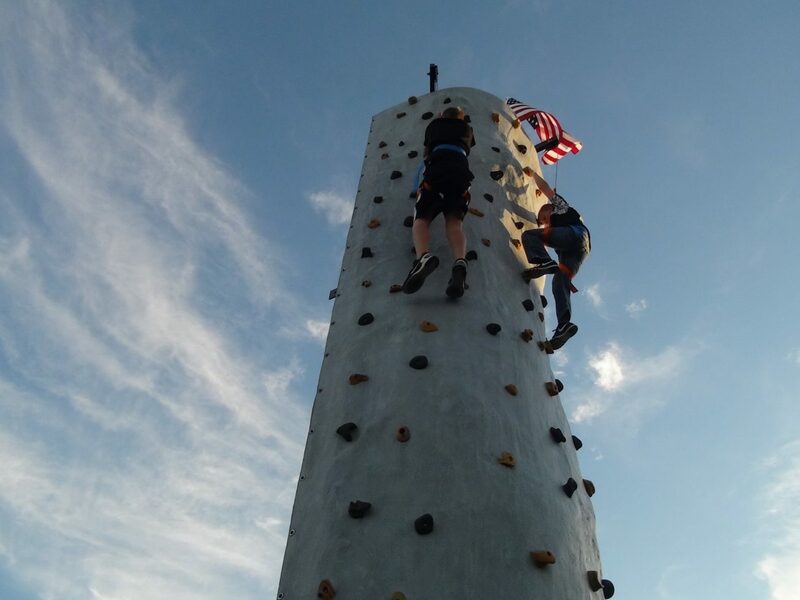 Climb one of our two towering 24’ portable rock walls and declare victory once you reach the top! 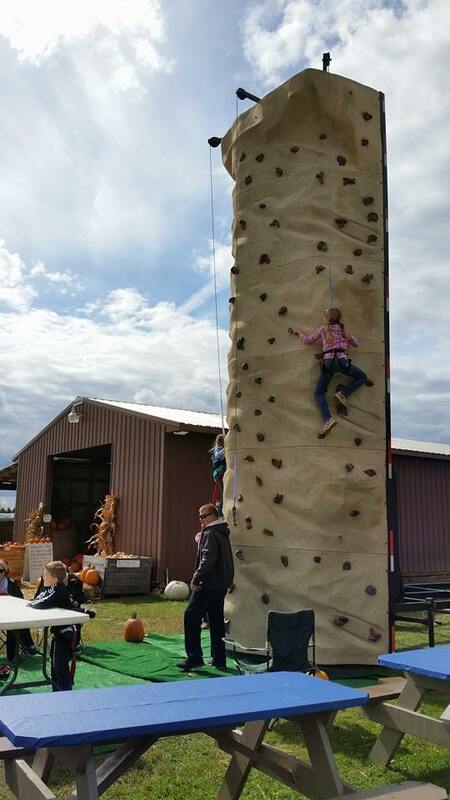 These eye catching climbing walls are perfect for picnics, festivals, fairs, churches and school events. 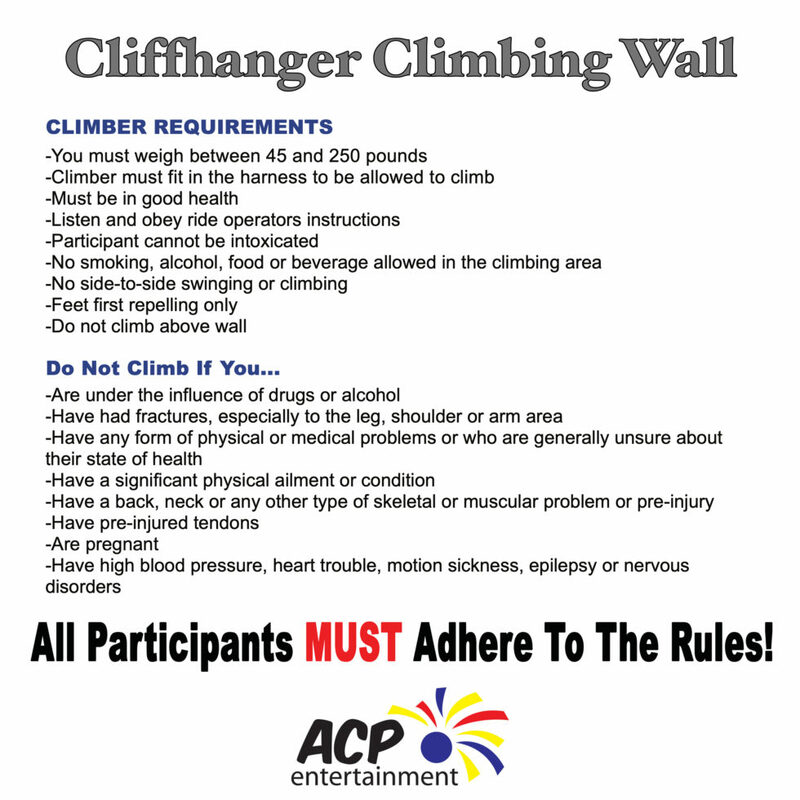 We currently have two climbing walls, Cliffhanger (grey colored) and Sahara (tan colored). 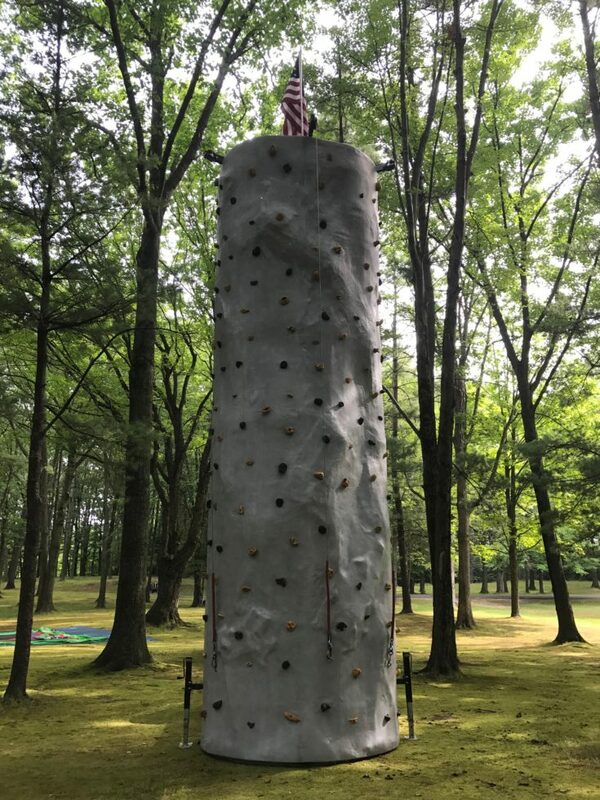 Please let our staff know if you prefer one wall over the other. 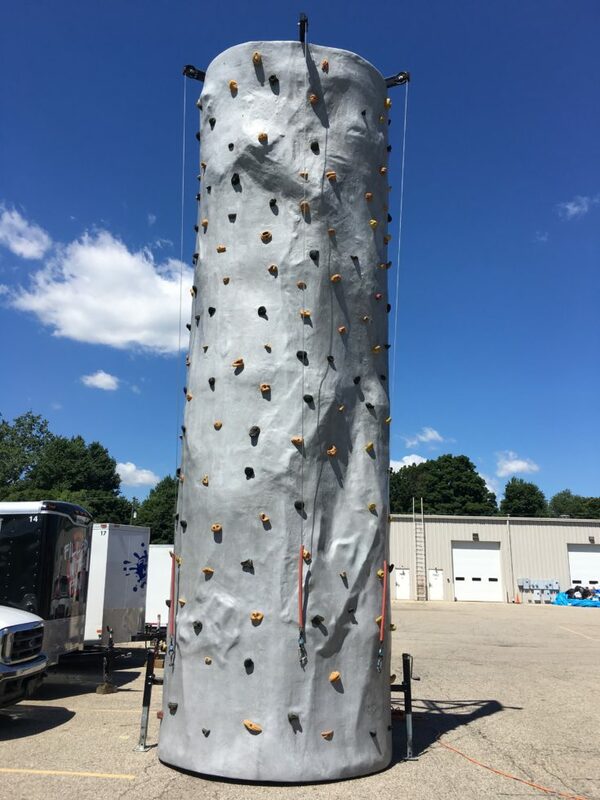 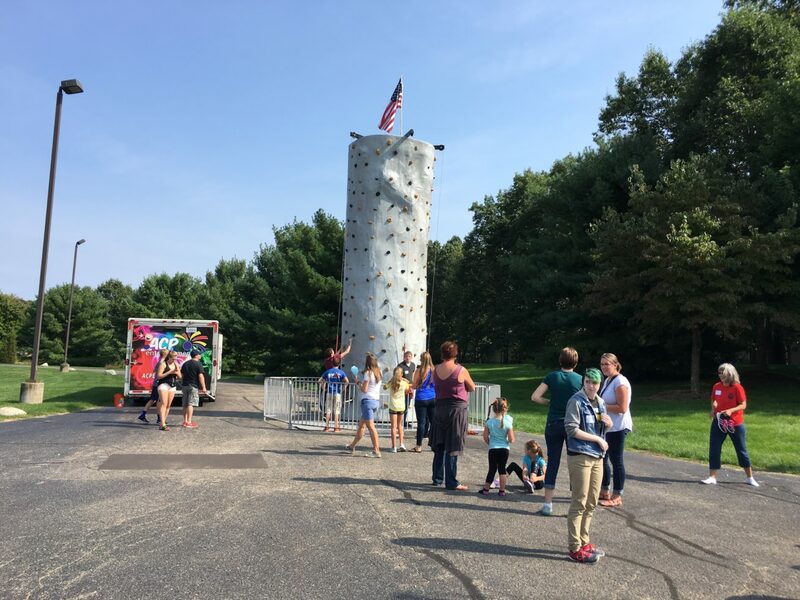 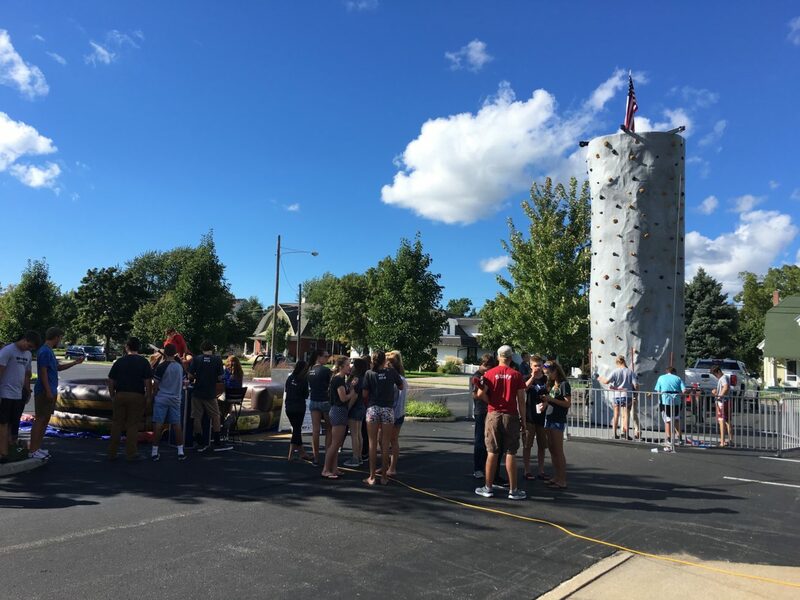 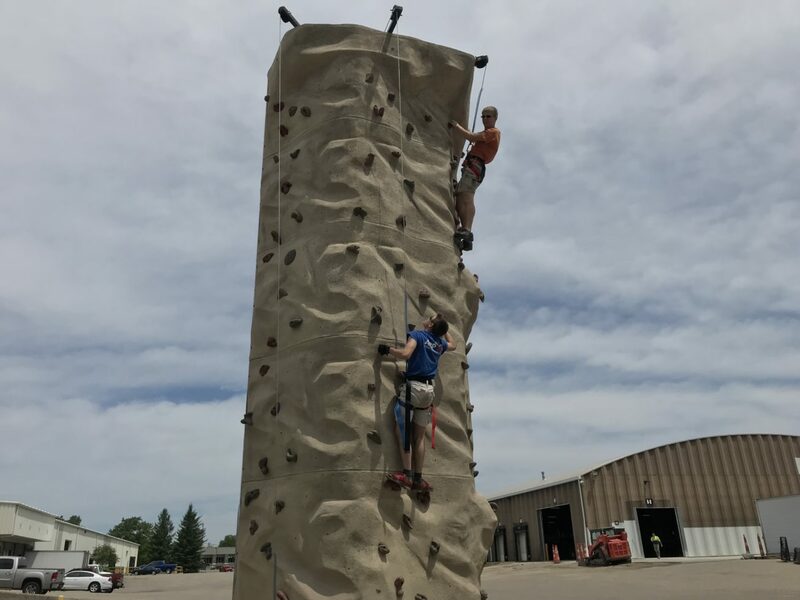 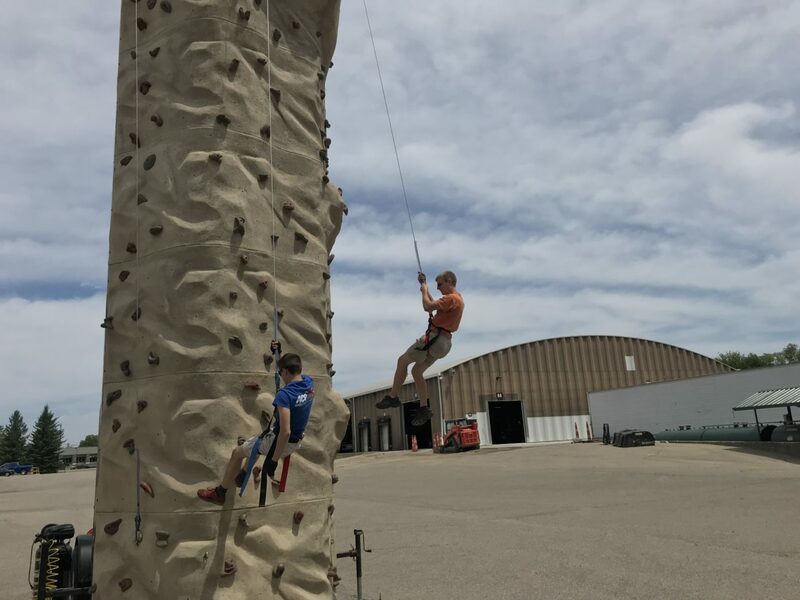 Our portable rock climbing walls are available for rent in Grand Rapids, Holland, Muskegon, Kalamazoo, Lansing, Detroit and other surrounding Michigan Cities.